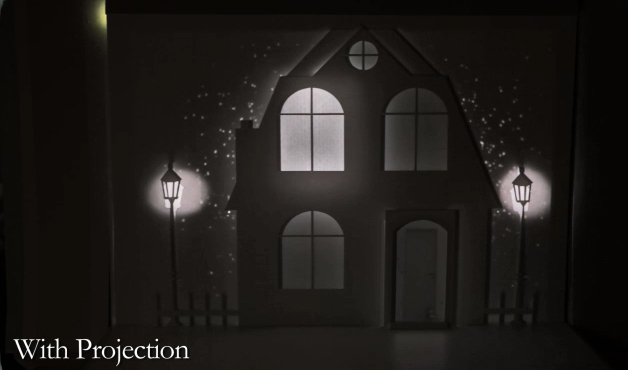 If It's Hip, It's Here (Archives): A Paper Theater Brought to Life With Light Projection. The Ice Book By Davy McGuire. 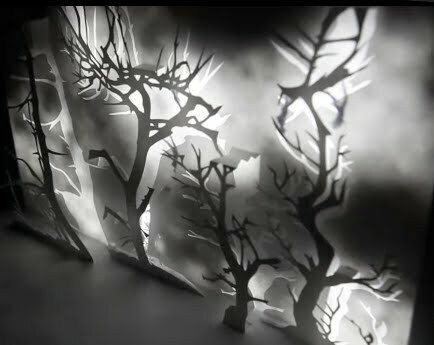 A Paper Theater Brought to Life With Light Projection. 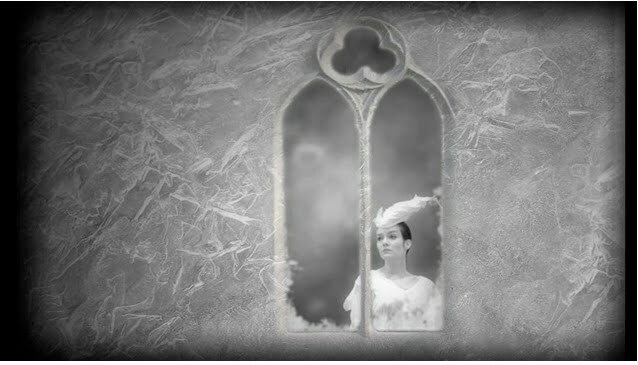 The Ice Book By Davy McGuire. Davy McGuire is a director of film, theater and video art. 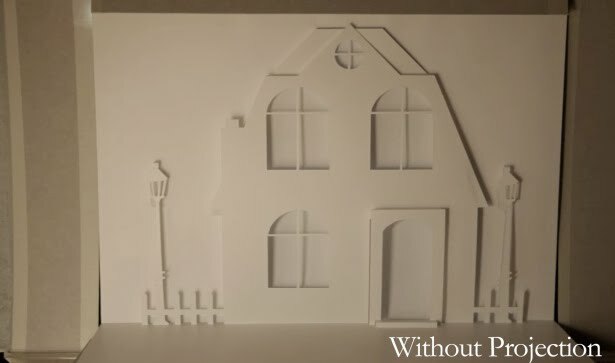 He creates productions for stage, screen and exhibition spaces that blend elements of film, animation, theatre, puppetry, installation art and good old-fashioned illusions. 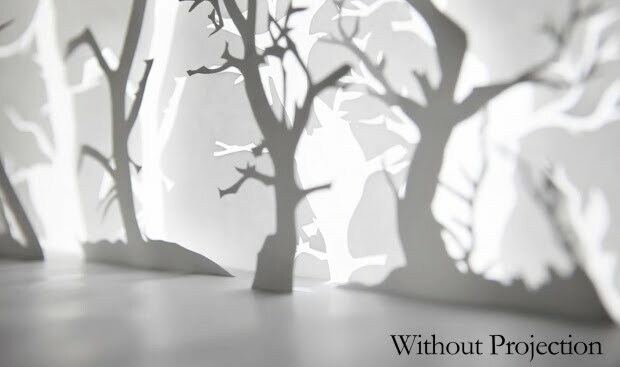 His latest piece, created with choreographer and dancer wife Kristin, uses light projection on a series of small paper cut out pop-ups combined with film projection and animation for a hauntingly beautiful effect. 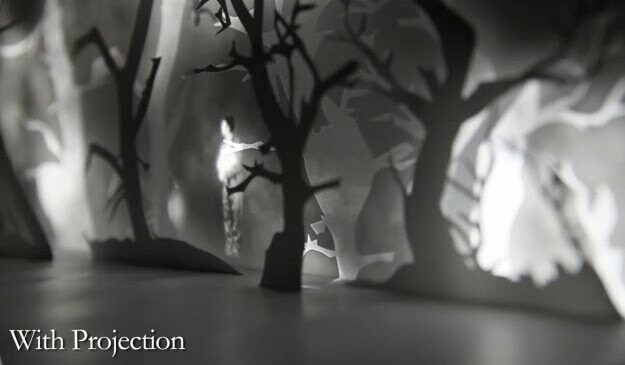 The Ice Book is the story of a princess who lures a boy into the forest in order to warm her heart of ice.